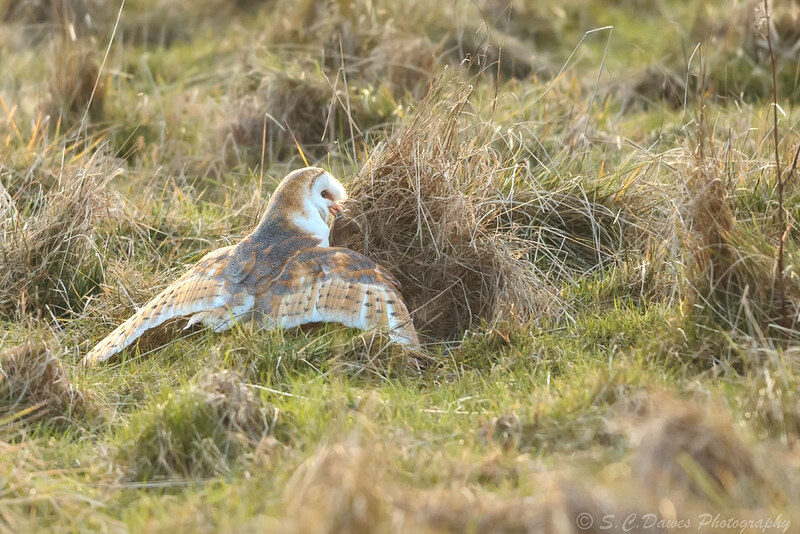 This one was mantling a nice big vole caught in the tussock of grass . unfortunately for me photography wise it took off with the prey but flew away from me . It transferred the prey from beak to talon in mid air and I captured the whole sequence but sadly from the wrong angle , nevertheless it was great to watch. Nice capture Steve, if you know where the nest is, you can work out some flight paths and intercept them if you're lucky.